Entrepreneurs are the life-blood of the economy, creating wealth for the entrepreneur and value for the customer. However, many entrepreneurial businesses do not succeed, or succeed, but the creative spark behind it fails to see as much of the benefit as they should. The United Kingdom is in many ways a very entrepreneur-friendly with access to specific tax reliefs, funding options, an excellent communications infrastructure and a legal system which is very widely used in international business agreements. For the entrepreneur, a strategy which both protects the new business and is capable of adapting to the demands of rapid growth and the global economy is essential. This means all advice is specifically tailored for the client and the circumstances and ‘off the shelf’ solutions are avoided. We will guide you every step of the way. 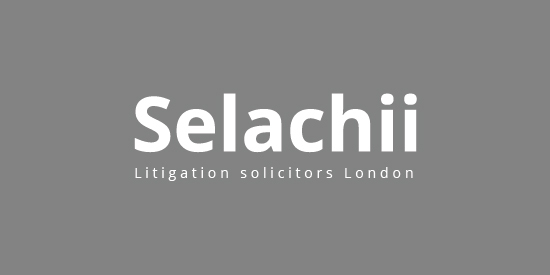 Selachii can help you make sure that your entrepreneurial idea, then the business are protected from the start, advising on intellectual property protection, contractual arrangements, formation and structure of companies, shareholders’ agreements, and the hundred and one other things we are expert at, allowing the busy entrepreneur to get on with what they excel at. Running a company in the UK has a lot of advantages – the tax regime for small companies is relatively friendly, the political system is extremely stable, the compliance burden (though substantial) is less onerous than in many jurisdictions and the Uk has a well developed and highly regarded. With hundreds of investment opportunities Investment in any business requires careful thought and planning. Successful investing means weighing up the risks and rewards carefully and on the basis of the right information…but also the right investment structure and protection. The control of investment risk whilst maximising the benefits of. Starting out in business can be exciting and bewildering, especially regarding the seeming mass of rules and regulations that seem to get in the way. If you have a start-up business, here are just some of the issues that you’ll need to be dealing with, as well as having.